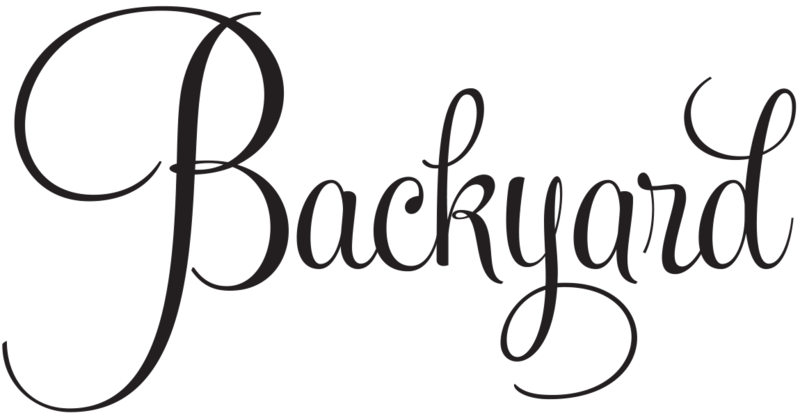 BBackyard peels back the placid, Miracle-Gro-soaked sod of gardening to reveal a culture of yucca fetishes, monarda mutilations, and herbivore-induced hissy fits. 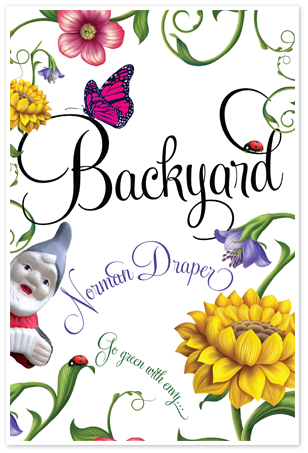 In the shocking world of Backyard, garden club backstabbers use dull gardening trowels, and the little old lady with loppers could be. . . an iris murderer! As Backyard unfolds, the news leaks out that Burdick’s PlantWorld is sponsoring a garden contest the likes of which the unassuming suburb of Livia has never seen. It quickly attracts the attention of Livia’s middle-aged gardening reprobates. They include a cowled spy, a witch who channels the spirit power of millions of dead flower souls, and a saboteur who’ll unleash a Mongol horde of half-starved rabbits on any garden if the price is right. Most threatening is resident gardening psychopath Dr. Phyllis Sproot. She’ll stop at nothing to maintain her dominance as Livia’s most eminent gardener. Against these forbidding forces stands a determined couple—George and Nan Fremont. They vow in their quest for the first-place prize to turn their backyard into a suburban paradise of bursting summer blooms and trilling songbirds while blissfully sipping their favorite merlot and brandishing a butcher knife and genuine “Smokestack” Gaines baseball bat. “Fast-paced, fun and full of flowers. You’ll have a mental list of a dozen gardening friends you know will want to read this book before you’re even done with the first chapter.” — Amanda Thomsen, author of Kiss My Aster: A Graphic Guide to Creating a Fantastic Yard Totally Tailored to You, and popular gardening blogger and speaker.